You can charge your renters using a bill. Bills let you request payments for things outside of your recurring rent requests, such as utilities and repairs. Adding a bill will add a positive value to your balance in Cozy. Renters may pay them at any time — payments made by tenants will be reflected as a negative value toward your Due Today balance. 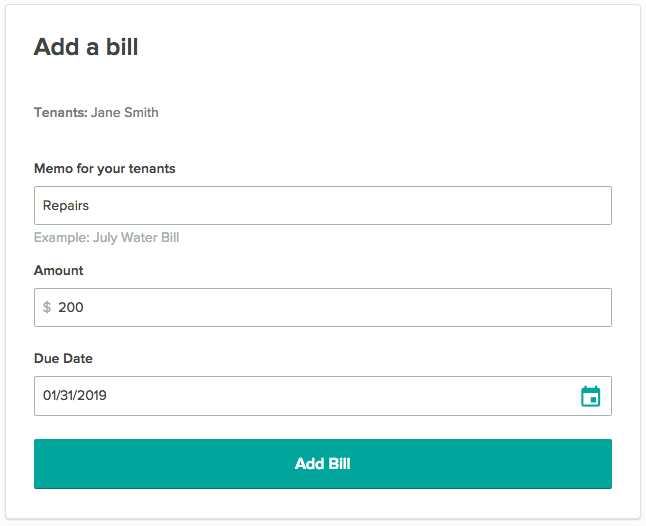 Once that's been added, we'll then email your renters with the details of the new bill. Note: If you need to delete a bill from your ledger, you can find steps to do that here.